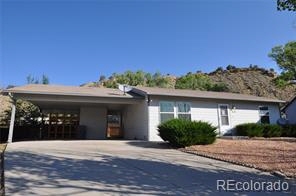 Description: Ranch style located in quiet cul-de-sac. Open views to the south, great natural light in front rooms. Backs to open land. Large 2 car carport with storage/shop room attached + additional wood storage shed in back. Fenced back yard with a patio off the kitchen area.